Finding the best deal on a credit card can be a minefield. It’s bad enough being rejected for credit when you approach a lender. But it’s even worse when you find out that the very act of applying for a credit card and being rejected reduce your chances of getting the next best product. It’s like a downward financial spiral: every time you request a new line of credit, your ability to get credit declines. The best solution to this problem is to figure out why you got rejected for a credit card in the first place. An ounce of prevention is worth a pound of cure. Credit card companies want to know that you’re a legitimate borrower. They don’t just take your word for it: instead, they use a database of residencies or the electoral roll to determine whether you’re good for a loan or not. You might be a perfectly legitimate citizen, but if you’re not on the electoral roll, you can still be rejected for credit. 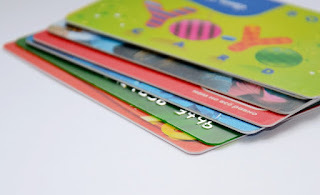 An excellent way to boost your chances of getting accepted for credit is to sign up for an official registry in your local area so that credit card companies can cross-check your identity to reduce fraud. 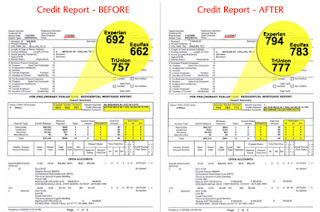 One of the first things credit repair companies focus on when they get a new client is their credit report. The reason? Because it’s usually full of errors, many of which can have a detrimental impact on their capacity to borrow. Thus, it’s worth getting your files checked to make sure that there are no mistakes. Even simple things like your name and your age can make a difference when filtered through FICO algorithms. Many people expect their credit history to be perfect when they apply for a loan, but they soon find out that it's not when they get rejected. Why does this happen? The main reason is identity theft. 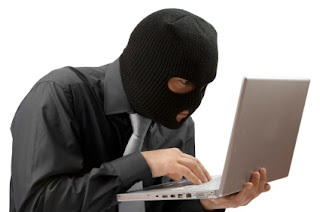 Somebody took out credit cards in your name taking advantage of your rating, stole money from lenders, and then left you to pick up the pieces. Checking your credit report should soon tell you whether this has happened or not. If you’ve never borrowed any money, but you see multiple instances of credit being lent out on your report, then that’s a sure sign that somebody has used your identity for criminal purposes. Explaining this to lenders and rating agencies should resolve the problem. Have you ever borrowed money before? If you haven’t, then there’s a good chance that you will be rejected by some lenders. The good news is that some credit rating agencies are making it easier to get credit, even if you’ve never had it before. Many now go off things like your spending habits, personal income and bank statements (if they have access to them) to determine the type of person you are from a financial perspective. But, remember, some lenders might still be on an older system.